Hotel WiFi: Want to stay online on your beach holiday? Two great resources if you want to stay online on your next beach visit. If you are one of those who believe that computers, tablets, and smartphones don’t belong at the beach, think about this: What if being online enables you to prolong your beach stay? To many beach lovers, staying an extended period at the beach requires a stable internet connection to keep the inbox in check, and to be able to respond to urgent matters. The problem is that the further away you are from the big cities, the lower is the probability of a good internet connection. Consequently, you might out of necessity avoid beach escapes to destinations off the grid. A shame if you want that castaway beach experience. A lot of beach resorts promise internet availability, but often the connection is weak or entirely missing for long periods. So what do you do, if you need internet? We would like to present two great resources for checking your hotel WiFi and internet options at your beach destination before you choose your hotel and holiday location. This website is dependent on travelers contributing to a growing database of internet availability and speed at hotels. If you stay in a hotel, don’t forget to visit the Hotel WiFi Test website and take a speed test of your hotel’s internet connection. Now other fellow travelers can see the results of the internet speed test and use this information in their choice of hotel. 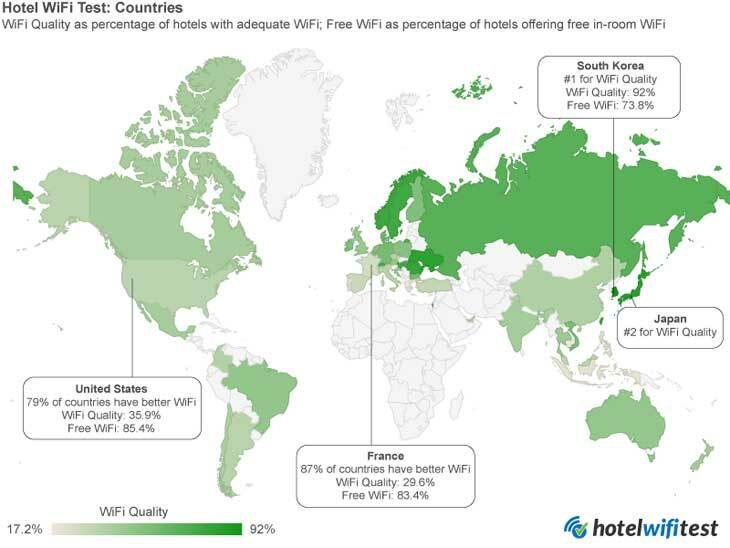 These figures give a very broad overview of internet quality and free availability in hotels worldwide. If we look at the worldwide hotel WiFi ranking of Southeast Asian countries specifically, the ranking is currently as below. Laos and Myanmar are not represented in the top 50. This data still does not give much insight to the WiFi quality and availability at a specific destination, and there are still large gaps of missing data at your favourite Southeast Asian beaches. Therefore, we encourage you to contribute to the database when you travel to the islands and beaches, so we can all benefit. Hotel Wifi Test also has apps for smartphones and tablets, and they are continuously developing their services, so be sure to check how they can help you. 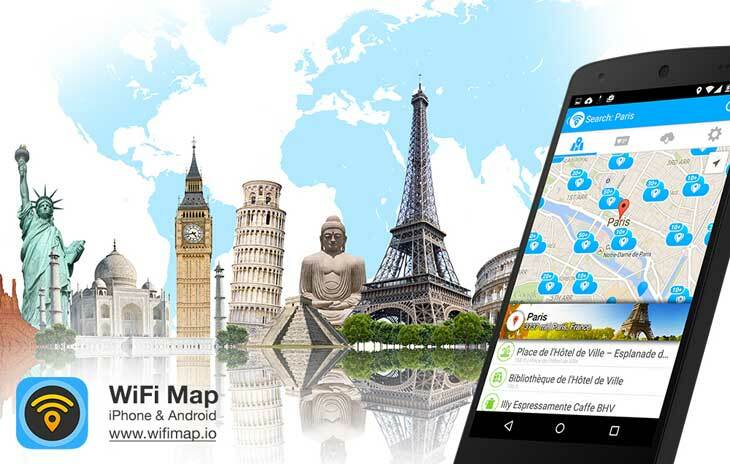 The other resource we would like to bring to your attention is the WiFi Map application that works with both iPhone and Android. This app will show you the available wireless networks in your area and provide you with their passwords. The app uses your mobile’s GPS function to determine your location and then advise you on available networks in your proximity. Needless to say, you must be within reach of the WiFi in order to connect, and the passwords might not always be up to date. The information is uploaded and updated by users, so you too can contribute by sharing information. Download the free app for iPhone or Android. An upgraded version is also available. Next postHave you ever thought “Thailand is too touristy for me”?